The Trellis Outdoor Table lamp is made with every safety feature possible to ensure flawless use in the outdoors, wet locations included. 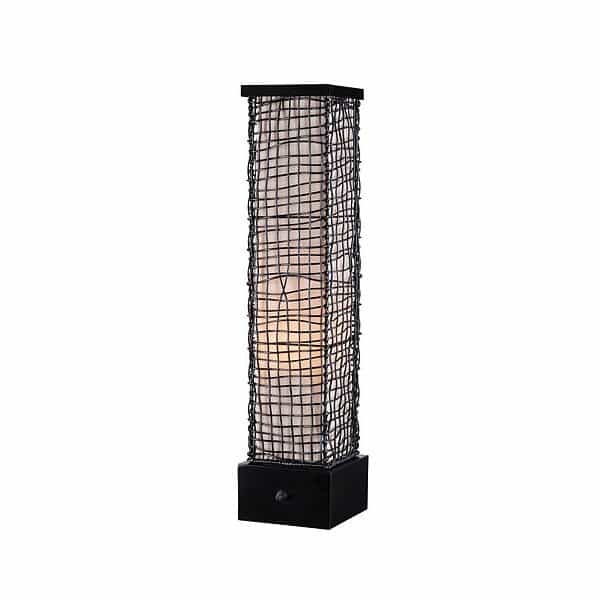 The woven outer wire design and fabric shade are all weather and rustproof. To protect the light bulb, there is a watertight bulb shield. The light switches are UL listed as waterproof, and the base of the light is weighted heavily to prevent it from tipping over with gusts of wind. Indoor lighting options simply do not have protective measures like these, and are dangerous and unwise to use outdoors, and sometimes even on a screened in porch. The Trellis Table Lamp has a bronze finish and a cream lampshade for a light, airy, dressed to the nines “tiki hut” vibe. When the sun goes down, the party is just getting started. Keep it alive with an outdoor lighting feature like the Trellis from Kenroy.